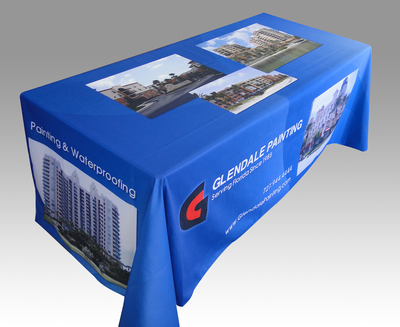 Sign-Age offers a convenient and versatile way to dress tables. 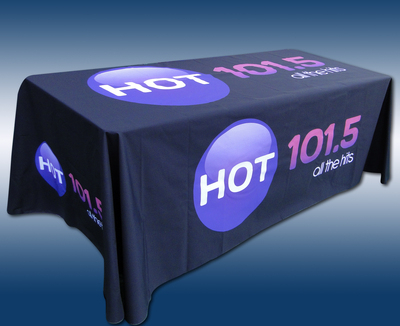 We offer a variety of skirts, throw covers and runners to meet your needs. 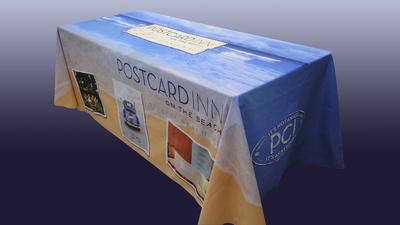 Add impact to your presentation and increase recognition by adding a custom message or logo to your table cover. 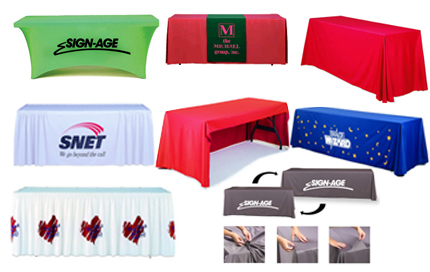 Contact a Sign-Age visual communications consultant for more information today!